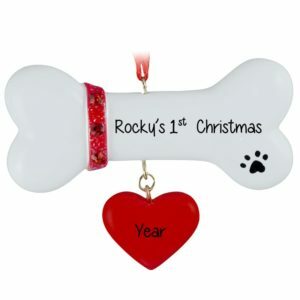 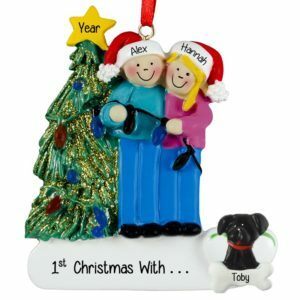 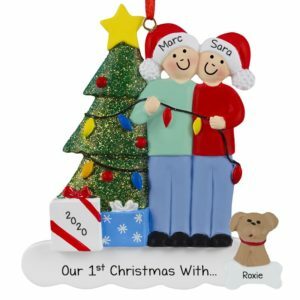 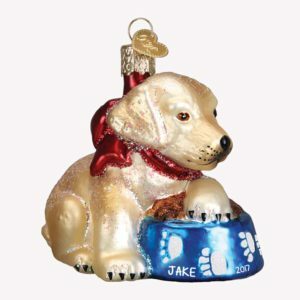 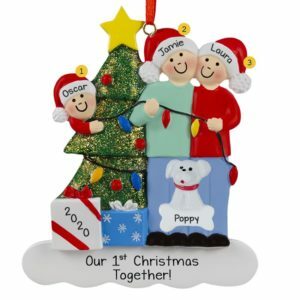 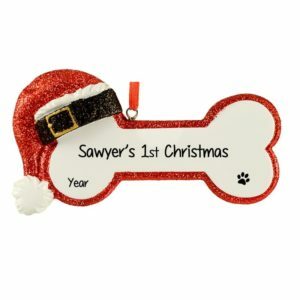 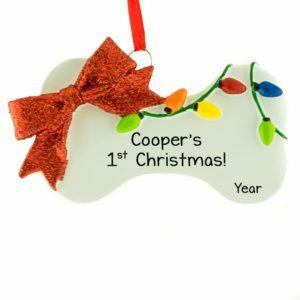 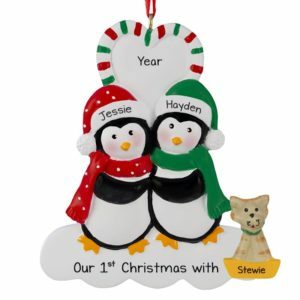 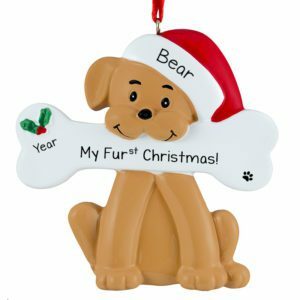 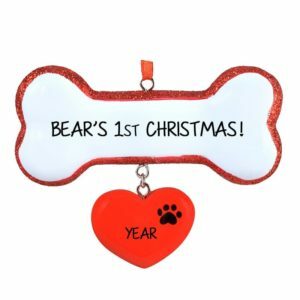 For a paws-itively happy howl-iday, choose to welcome your new dog with one of our Dog or Cat’s First Christmas ornaments. 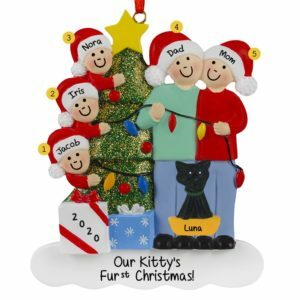 Our fun selection is sure to please your new furry addition to the family. 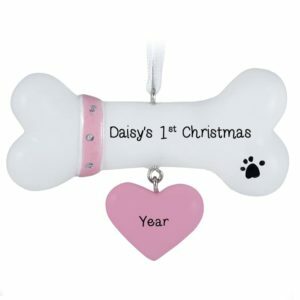 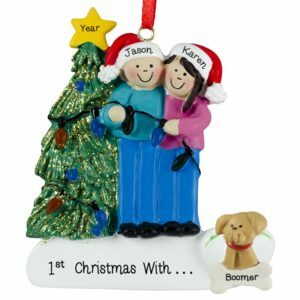 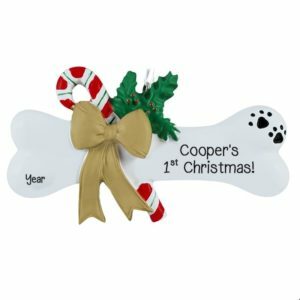 Have one of our skilled writers carefully hand apply the pet’s name, year and your special message as a keepsake that’s sure to be admired for years to come. 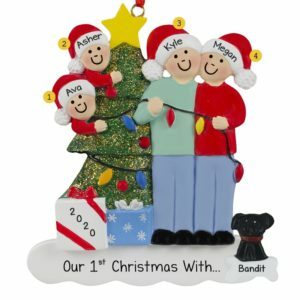 What a great gift idea for neighbors, friends or family whose family just grew by 4 feet!